Rent a car at Prishtina Airport for less. Compare Pristina rental prices of SUV, MPV & 9 seat minivans. 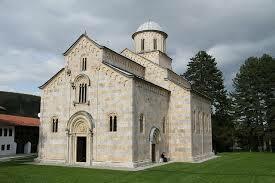 Compare car hire at Prishtina Airport in Kosovo and book today. Make great savings on your next Prishtina car rental or that larger estate, SUV, MPV or minivan to seat eight people. Europcar will supply the vehicle, but if booked through us, it will be cheaper than their usual rate. Cars are kept on site, so not shuttle bus trips. Global Positioning Systems are also available to help to get to your destination easily some our built in see quotes page, Sat Nav is especially helpful if your grasp of the Kosovo language like mine is not sufficient to ask and understand basic travel directions. Save time and let us compare both local and global car hire daily rates and weekly prices at Prishtina Airport, we make your money go a long way. When getting you car rental at Prishtina Airport, you can take out additional insurance which will reduce both damage and theft excess to zero, which is particularly good for the less confident driver. Alternatively, you can purchase excess cover which covers any claim. Also spelt Pristina, this airport in Kosovo as the IATA airport code of PRN. The website is here:- Prishtina Airport. The airport has flights to over 20 other countries, including Austria, UK, Denmark, Germany, Switzerland & Sweden which are served by about the same number of airlines. For now, best to go to a websites like Be in Kosovo to find out more about what to do. Need more Kosovo car hire?